This is Speed-Evolution’s seatpost! It is super lightweight at 144 grams with a zero degree offset and an adjustable head. 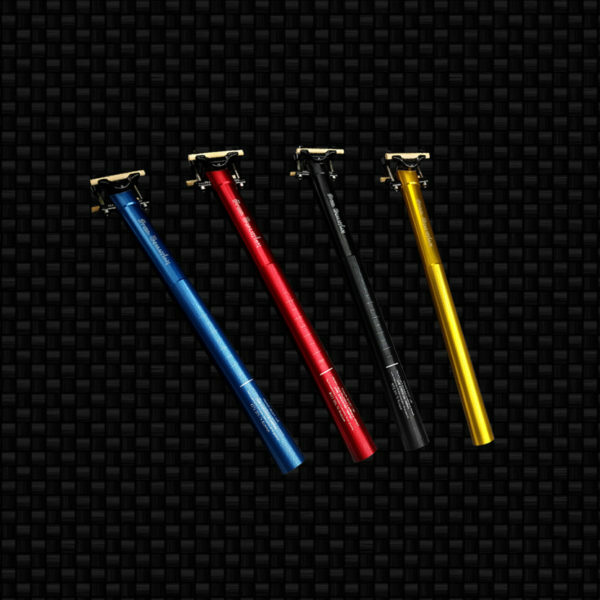 It is made with titanium hardware and has an unbelievable ride quality. Available in 4 different colors and 2 lengths.